In our mission to become internet superstars, give up our day jobs and instead get paid to go to dubious places and get into scrapes with hilarity ensuing (the things we do for your reading pleasure! ), we thought we would make a little inspirational graphic to remind ourselves of our mission statement and core values, culminating in the heady heights of getting onto The Ellen DeGeneres Show (thanks to our social media consultant Antonine for getting us on track). 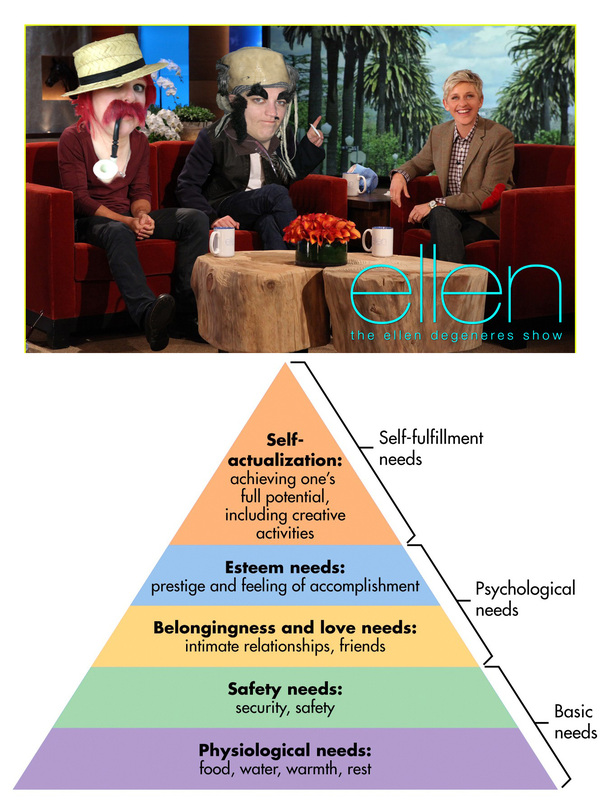 Please see below, the REAL Maslow hierarchy of needs.